Bali is a mixed bag of tourism projects that represent the absolute worst (Kuta) in sustainable travel and some of the best (Ubud)." Although consecutively named World’s Best Island for years from major traveller magazines around the world, and loved for its people and the great value it offers Bali has not scored so well in a survey done by the National Geographic Traveler. In behalf of the traveller magazine the National Geographic Center for Sustainable Destinations conducted its fourth annual Destination Scorecard survey, aided by George Washington University. A panel of 522 experts in sustainable tourism and destination stewardship donated time to review conditions in 111 selected islands and archipelagos. Let's see what these experts have to say about our beloved Bali and our neighboring island of Lombok. The survey rates the qualities that make a destination unique—"integrity of place." It's not about consumer service, so a poor but unspoiled island like Palawan can rate higher than a Hilton Head, called "the best golf-course-and-gated-community island anywhere." "Bali is one of the world's magical places. Even though it has been overrun by tourism development and population growth, somehow it has been able to maintain its unique character, though some parts of the island—Denpasar, Kuta Beach—are now incredibly degraded and depressing for those of us who knew Bali in the good old days." "Yes, Kuta and Nusa Dua represent the ugly faces of crass commercialism—but if they are developed as specific mass tourism enclaves and generate income, and if development in the rest of the island is more restrained, Bali will still be worth visiting. The flowers are still colorful, the smiles still warm, the rice fields still mesmerizing, and the gamelan music still a calming, soothing backdrop—after 30 years of rampant development." "Bali is a mixed bag of tourism projects that represent the absolute worst (Kuta) in sustainable travel and some of the best (Ubud)." "In spite of the recent terrorist events, Bali is still an excellent destination. 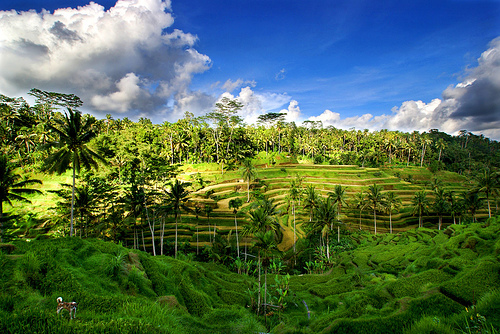 Magnificent rice terraced landscapes. Gentle, warm people. The culture is strong, vivid, and vibrant. Facilities are varied, catering to many tastes. However, beaches are not good, and the environment is under threat from destruction of reefs and mangroves, linear development, salt water intrusion, etc." "Bali's little sister. Lower numbers of visitors than Bali, so has been slower to develop. It is relaxed, and the local government expresses concern for careful development. There is a lack of interpretive information, although guidebooks generally tell the stories well. Some luxury accommodations." 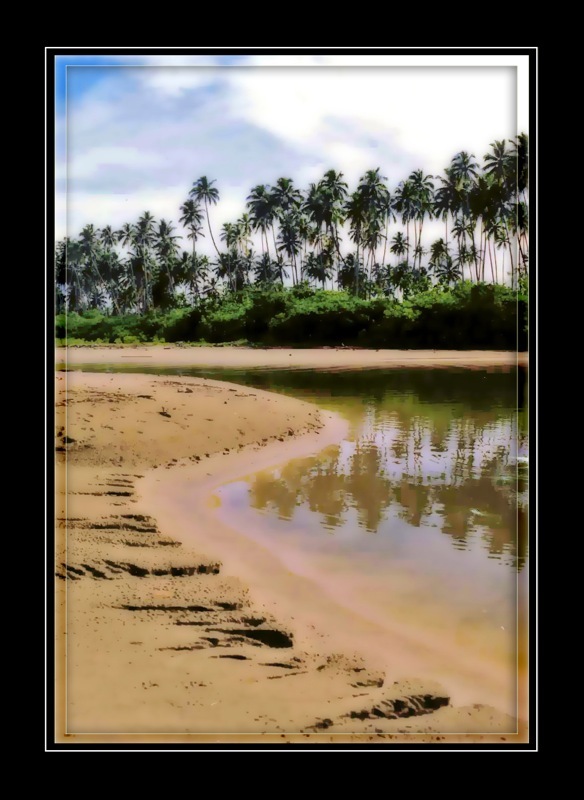 "Lombok has many scenic natural sites and some lovely, comfortable hotels. It also has several strips of beach that are overdeveloped and disappointing. Some of the cultural tourism in the south is a bit like 'human zoo' tourism, where tourists are accosted by aggressive local people in local dress." "The strong Islamic culture to a certain extent ensures its cultural survival from the tourist onslaught. A lot of tourist development, some of it illegal, threatens the integrity of its seashores. Huge gap between the tourism resort culture and local incomes and traditions." National Geographic has more details about the survey on their own website.